Recently, I’ve been trying to eat more Paleo (basically eat more veggies and less carbs). That wasn’t difficult to incorporate into my lunch and dinner plans, but breakfast really stumped me. My usual breakfast was cereal (usually Honey Nut Cheerios) with almond milk or oatmeal. Both are a very carb/sugar rich way to start my day that I wasn’t super happy with. My diet is further limited that I can’t eat wheat, eggs, or much dairy (I’m gluten-intolerant and eggs and dairy also agitate my digestive system). 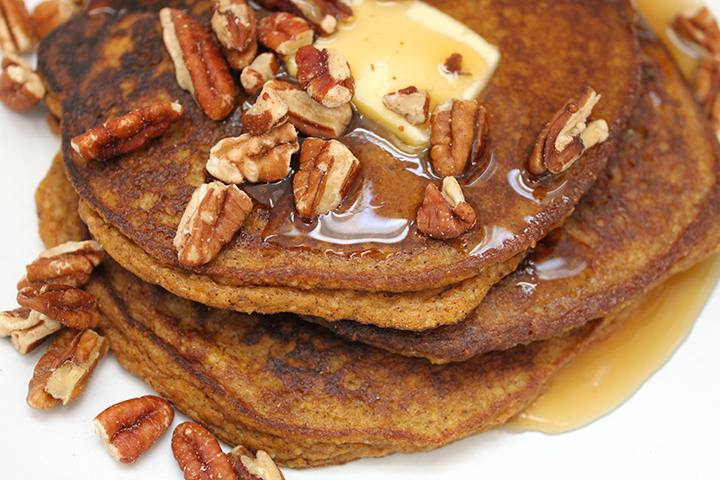 I tried a few other Paleo breakfasts – including a potato/sweet potato/onion/bacon hash and pumpkin/banana pancakes. 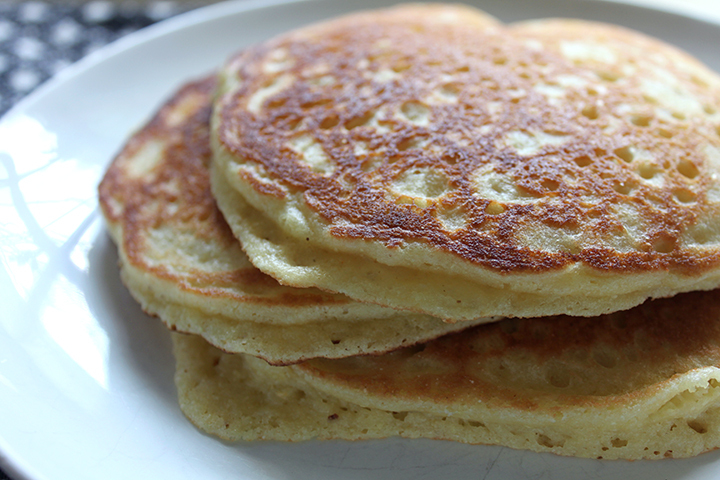 Both were great, but time consuming to make — so not sustainable for regular workday breakfasts. 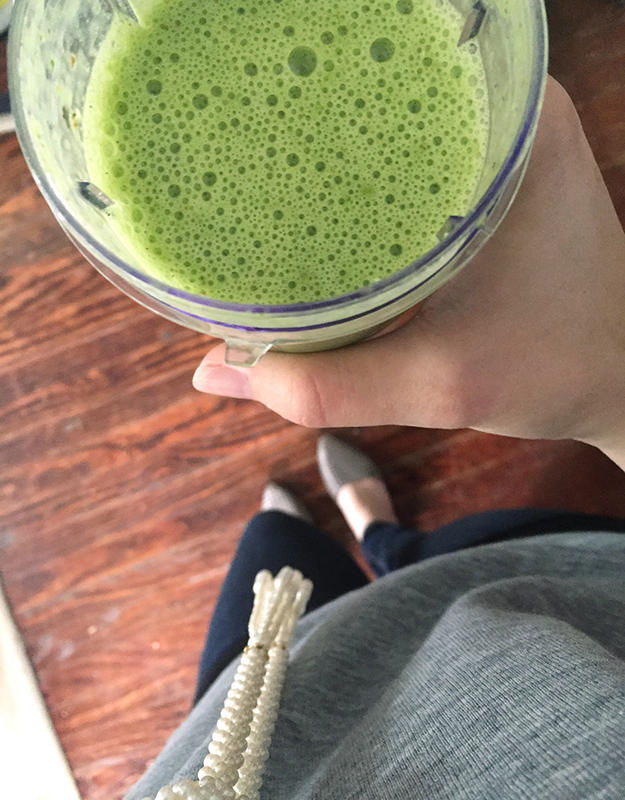 At the perfect timing for my life, one of the blogs I read posted about incorporating green smoothies into her diet. I’d obviously heard of green smoothies before, but I don’t know why it hadn’t occurred to me before to try them for my breakfasts. My sister Kelsey makes a similar smoothie for her breakfast occasionally. But it started the wheels in motion and I’ve been green smoothie-ing for breakfast for a couple weeks now and LOVING it! Part of the reason I hadn’t tried this sooner is that we didn’t have a blender (Drew broke ours trying to blend a spoon in it while making daiquiris for a party he threw a few years ago when I was out of town, lol!). I tried to blend my first smoothie in our food processor and that turned out terribly! I did a little research on small blenders perfect for smoothies and narrowed it down to these two: NutriBullet ($79.99) & Bella Rocket Blender ($24.99). The NutriBullet is a little more expensive and probably better for the long run, but since I wasn’t even sure I was going to like smoothies, I went with the cheaper, but still well-reviewed Bella Rocket Blender. So far, I’m perfectly happy with my choice! At just under $25, it has been working great (and I’ve been using it daily for the last few weeks). It is super easy to clean, comes with multiple cups, and even includes an extra grinding blade for grinding small seeds and such. I like that it is small enough to leave out for daily use and the design is simple and looks nice. P.S. Feel free to use your regular blender if you have one! 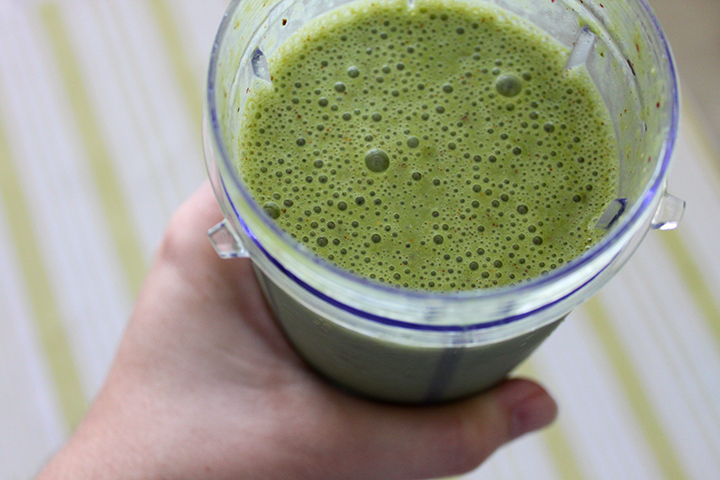 No need to buy a specific smoothie blender for this! I will say though, that the super easy to clean design of this is what has made me actually stick to it. If I had to take a blender apart every day to clean it, I wouldn’t do it (Drew washes the dishes in this house!). 1. 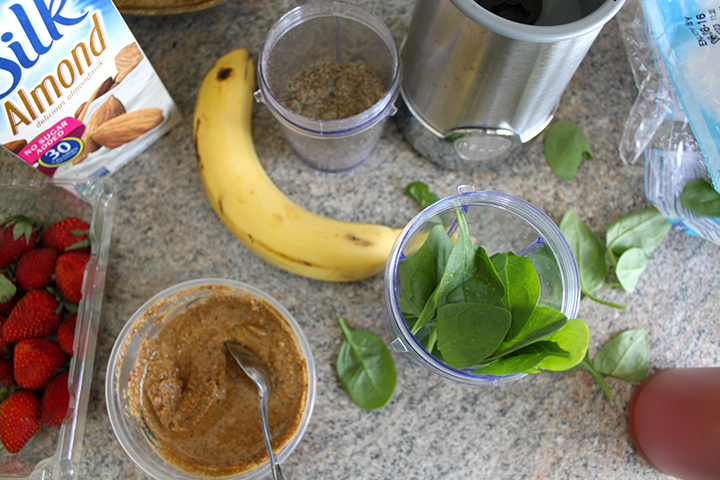 Place spinach, cashew/almond milk, honey, almond butter, and seeds (I usually pre-grind mine) into blender cup and blend until well blended. (I’ve read that mixing the spinach and liquid together first before adding other fruits helps to get a smoother blend and avoid small bits of spinach in your smoothie). 2. 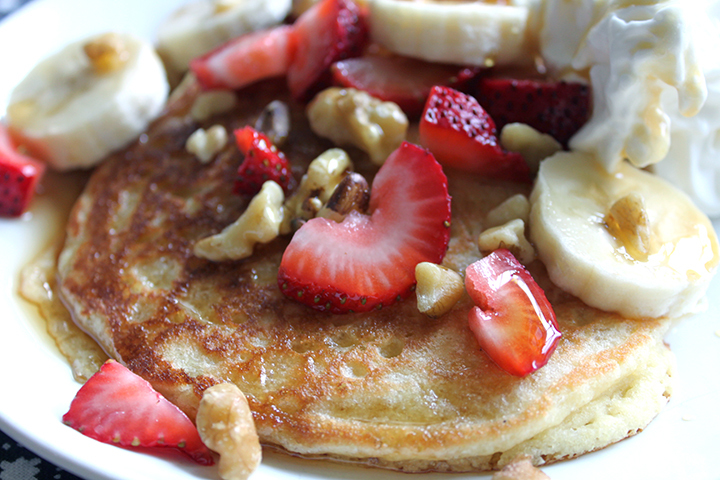 Add banana and other fruit or mix-ins as desired. Blend until well blended. I honestly can’t believe what a difference this has made so far in my routine. It is still quick and easy to make and drink (the small smoothie blender makes it so quick and easy!). It doesn’t take any longer than making and eating a bowl of cereal! But I feel SO MUCH BETTER! I’ve noticed that I have so much more energy lately and this is just such a refreshing way to start my day. I like feeling like I’m being better and healthier to my body. I’ve even started to crave and look forward to my morning smoothie — so much so that I’ve even had another for an afternoon snack some days! I’ve been drinking a bag of spinach a week! 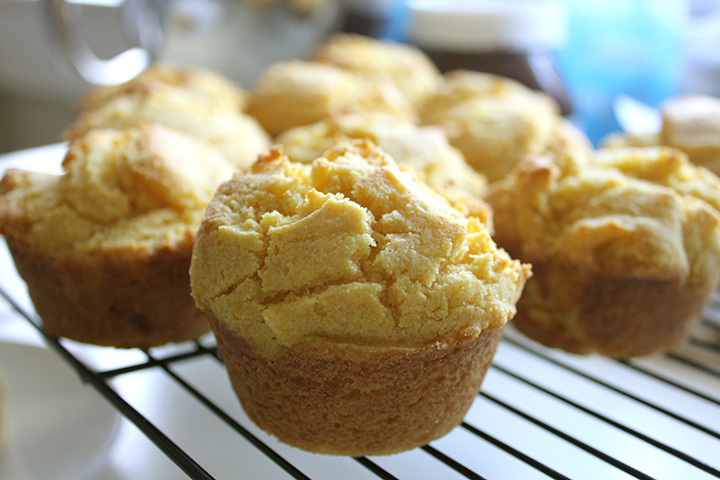 Homemade muffins were a weekend breakfast staple in my house growing up. 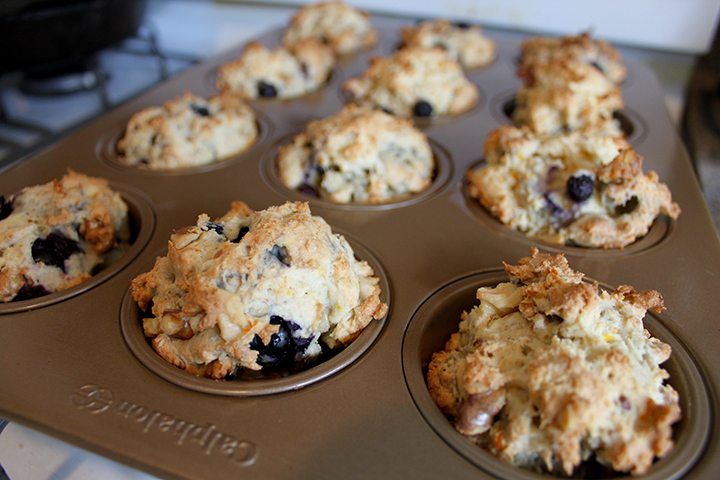 We would go pick our own fresh blueberries practically just to have for muffins. My mom would freeze them in big bags so we would have them for muffin making year round. 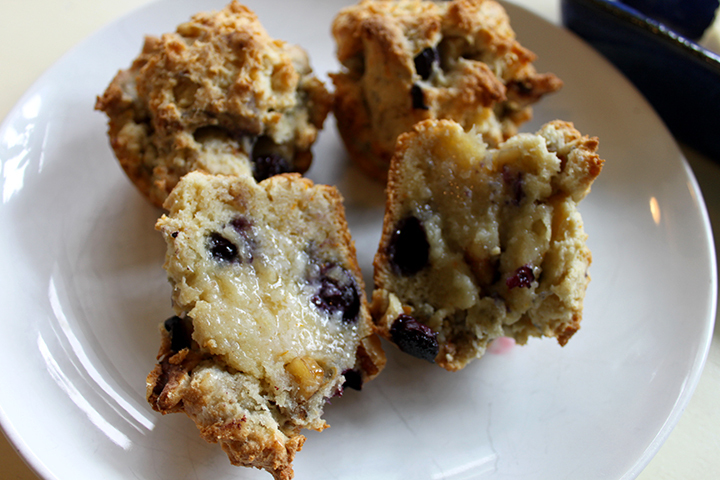 We also made banana muffins, peach muffins, and strawberry muffins, but blueberry (with lemon and walnuts!) will always be my fave. Last summer, I went blueberry picking with some friends on the North shore, just outside New Orleans. 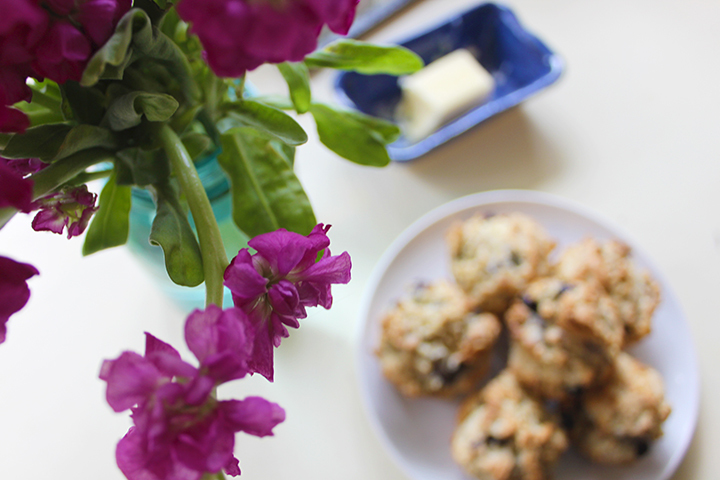 I have a large bag of those blueberries in my freezer just for muffin making! 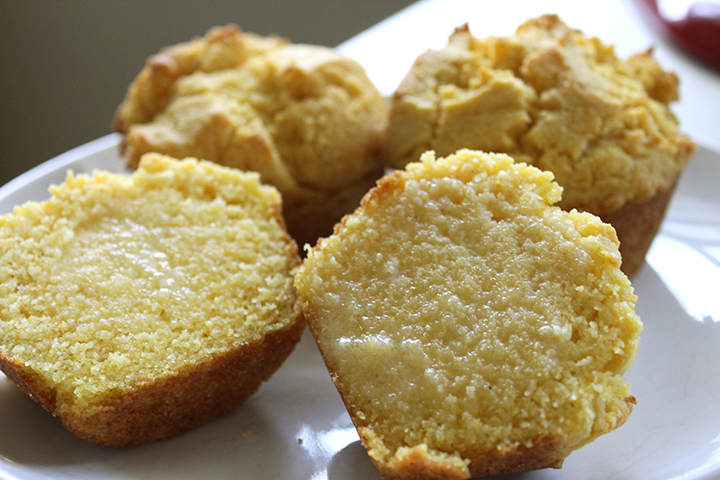 The recipe we used growing up is great, but after going gluten-free, I found I didn’t like the way the muffins in that recipe came out as much. 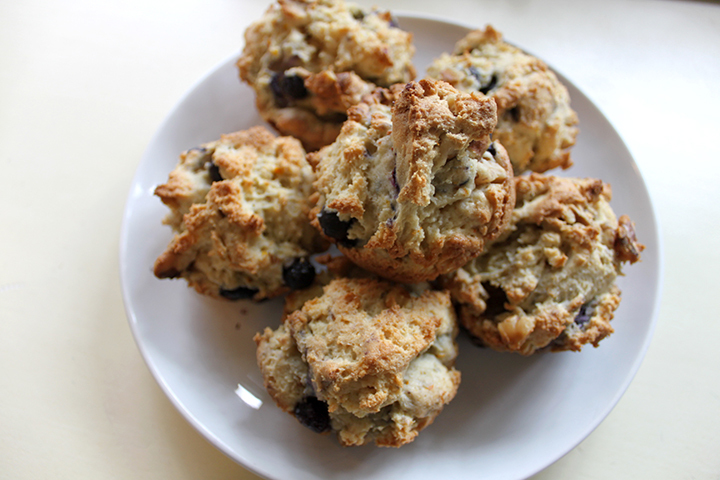 I also like this GF Blueberry Lemon Ricotta muffin recipe, but when I came across this recipe from Smitten Kitchen I knew it was bound to be great. 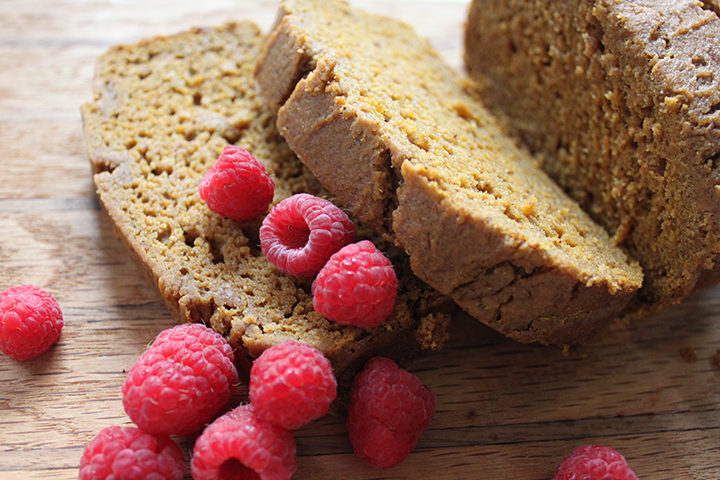 I tweaked it a little to make it gluten-free, more lemon-y, and to add walnuts, and I’m in love with the result! The first time I made these was over Mardi Gras when Drew’s mom was in town and Susie and I had eaten them all within 24 hours. 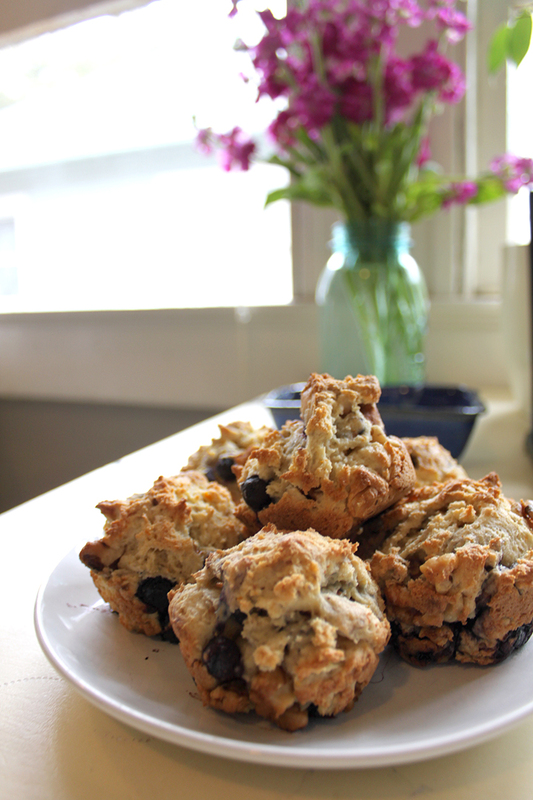 They must be good, because when I made the next batch, even Drew (who says he doesn’t like blueberry muffins) ate TWO! 1. Preheat oven to 375 degrees. Grease 12-cup muffin tin. 2. In electric stand mixer, beat butter and sugar until fluffy. Add egg, beat, then beat in sour cream, zest, and a squeeze of fresh lemon juice. Mixture should be creamy and slightly fluffy (I use one of the highest settings on my mixer). 3. 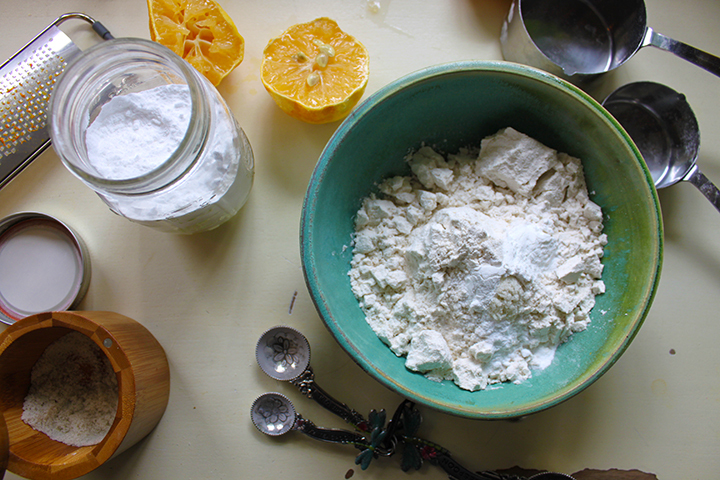 Stir together dry ingredients (flour, baking powder, baking soda, salt) in a separate bowl. 4. Turn mixer setting down to just a stir and slowly mix in dry ingredients (in about 1/4 cup-fuls) just until combined. 5. 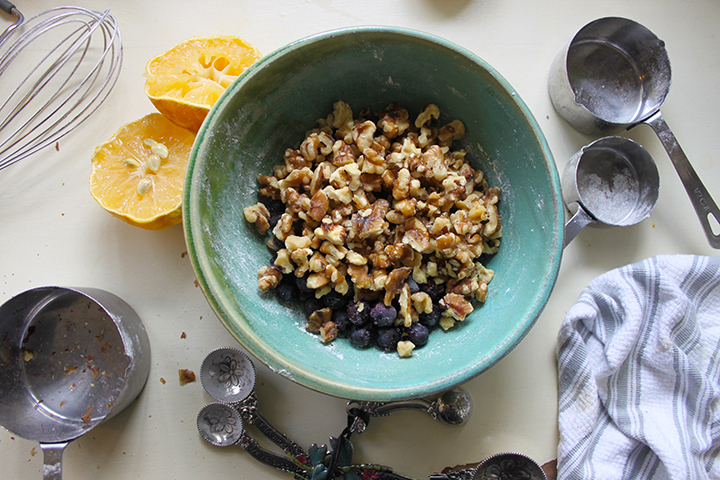 Gently fold in blueberries and walnuts. 6. Batter will be thick (almost like a cookie dough). (UPDATE: not if you use almond milk instead of sour cream, it should be like a normal muffin batter!) 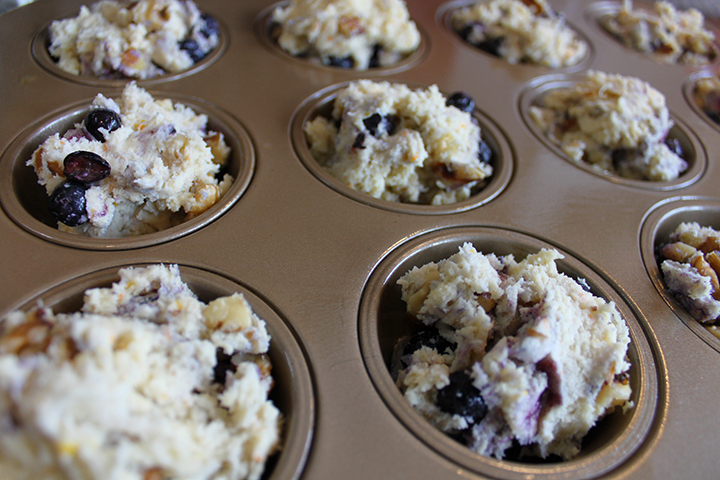 Scoop into prepared muffin tin cups. 7. Bake at 375 degrees for 25 minutes or until golden brown and when a tester comes out clean. 8. Remove from muffin tin to a wire rack to cool. 9. Serve warm with a pat full of melting salted butter. In high school, I used to make these everything-but-the-kitchen-sink cookies all the time. My original recipe makes quite a lot (I’ve downsized it here), so I would make them and my sisters, Drew, whoever was at my parent’s house or Drew’s parents house, would eat them all up. The cooler temps the last few days have me all nostalgic. Fall always reminds me of when Drew and I first started dating (8 years ago this month! ), and in turn reminds me of home and high school. I was flipping through my old handwritten cookbook the other day and came across these again. This very well may be the first time I’ve made these since high school! Definitely the first time I’ve made them since I’ve been gluten-free. 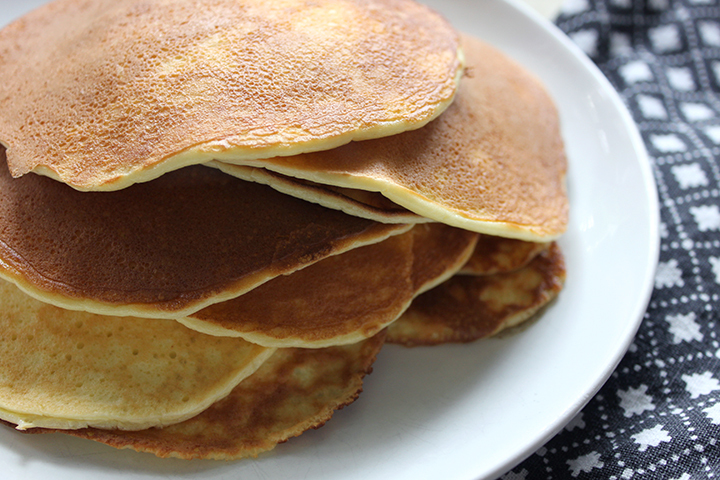 This is an easy recipe to make GF since it takes so little flour to begin with! 1. In a stand mixer (or large bowl) cream together butter, sugar, and brown sugar. 2. Beat in egg, then vanilla. 3. In separate bowl, mix together flour, oats, salt, baking powder, and baking soda. 4. Slowly mix dry ingredients into wet. 5. 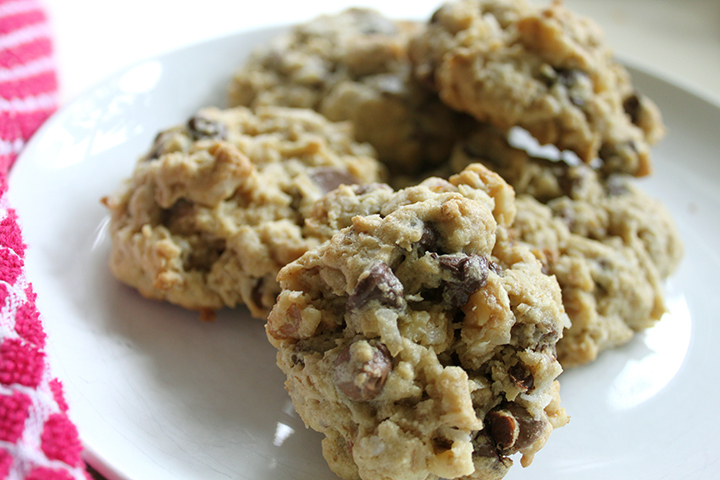 Fold in chocolate chips, nuts, and coconut. 6. Roll or scoop dough into balls and place 2 inches apart on ungreased cookie sheet. 7. Bake at 375 degrees for around 12 minutes, or until set and lightly browned. Don’t overbake. 8. Let cool on cookie sheet for a couple minutes, then transfer to wire rack to cool completely. P.S. My original recipe (if you want double what’s above): 1 cup (2 sticks) butter, 1 cup sugar, 1 cup brown sugar, 2 eggs, 1 tsp vanilla, 2 cups flour, 2 1/2 cups oats, 1/2 tsp salt, 1 tsp baking powder, 1 tsp baking soda, 12 oz chocolate chips, 1 1/2 cups chopped nuts, 1 1/2 cups coconut. This yummy dessert was my favorite pie growing up, and was one that was often served at Thanksgiving. I hadn’t had it in a few years (since going gluten-free), so I decided to finally make a gluten-free version. It is delicious warm, served with whipped cream and banana slices. 3. Stir egg whites into dry ingredients. 4. Pour mixture into unbaked pie shell. 5. Bake in preheated 325 degree oven until glossy and set (about 25-30 minutes). Center should be gooey. Do not overbake. 6. 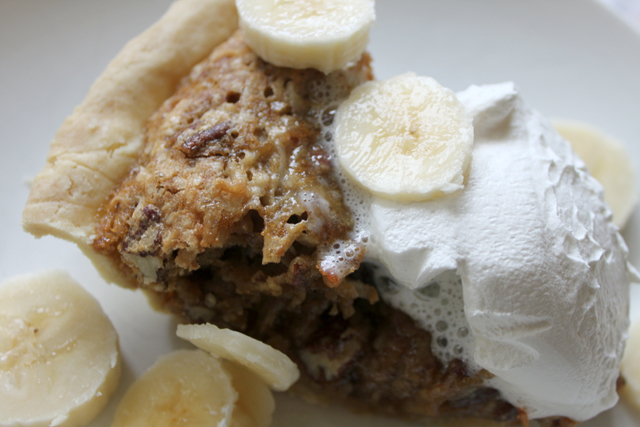 Serve warm with whipped cream and sliced bananas. 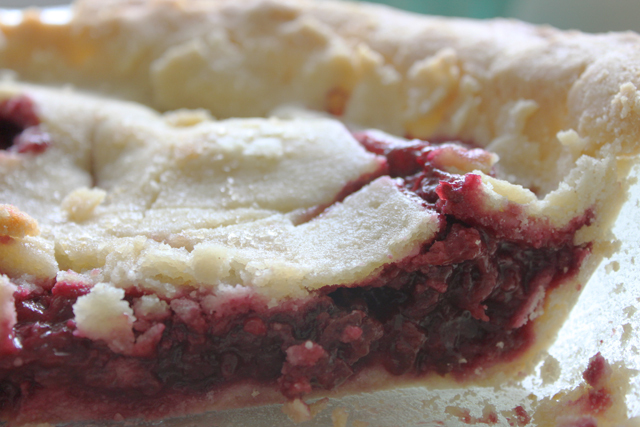 When Drew and I were vacationing in the Pacific Northwest earlier this Summer, Drew had a piece of Marionberry Pie. It wasn’t gluten-free, but I had to try a bite and it was delicious. Once we got back home, I had to make a gluten free pie! We don’t have marionberries (a certain type of blackberry) in Louisiana, but we do have other blackberries and raspberries, so a homemade gluten-free blackberry/raspberry pie it was! This was actually the first fruit pie I’d ever made. 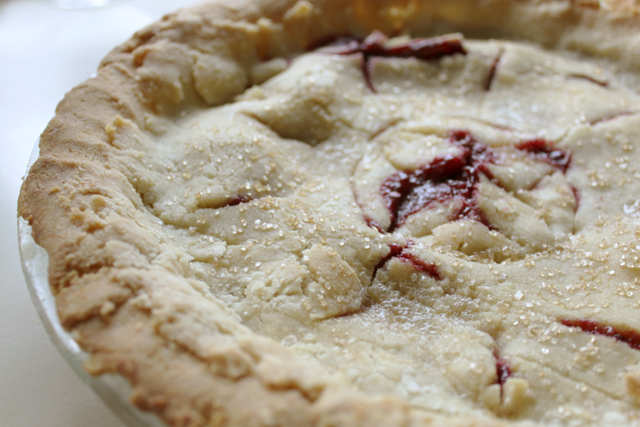 Growing up, my family never really made/ate fruit pies, so I never had the desire to make one myself. Boy, has that changed. Homemade blackberry pie is now one of my favorite things ever and the perfect summer treat (served with some fresh homemade vanilla ice cream!). I’ve made three pies in the last month (even though it is 100 degrees in New Orleans and about that hot in our house). Not even kidding, about the pies or the heat. For the crust, I used my Gluten-Free Shortcrust Recipe that I shared a couple months ago. It works wonderfully as a pie crust! ***Note on the filling: I really just threw these ingredients together and didn’t do a lot of measuring, so feel free to add them in, taste, and add more of whatever else you think it needs. 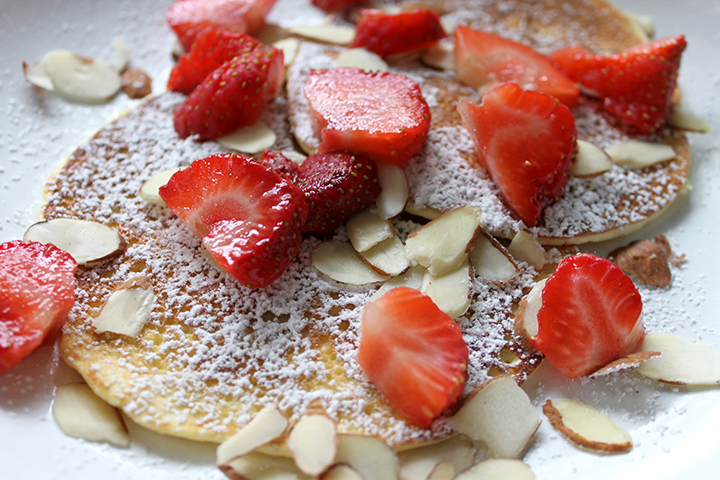 You can also make this with more berries, just up the measurements of the other ingredients a bit. 1. In food processor, mix dry ingredients (brown rice flour, white rice flour, cornstarch, sugar, xanthan gum, salt). 2. Add cubed butter and pulse until crumbly. 3. Add egg, mix until combined, then add water and mix until combined. 4. Remove dough from food processor, roll into a ball, and wrap in plastic wrap. 6. When ready to bake, roll out chilled dough between two sheets of wax paper. (You might need to dust the crust with a little brown rice flour while rolling if it is too sticky). 7. Transfer dough to bottom of pie pan. 8. Melt butter in saucepan over medium/high heat. 9. Add berries and stir until they start to soften. 10. Add sugar, vanilla, lemon zest/juice, cinnamon, orange juice, and corn starch. 11. Stir until all dissolved and bubbly. (I also slightly mash up the berries a bit). 12. Taste and alter ingredients if necessary. You might need to add more sugar, depending on the sweetness of your berries (raspberries are usually sweeter and a little less tart than blackberries). 13. Pour fruit filling into prepared pie crust in pie pan. 14. Add second crust (if desired) over the top of filling. 15. Pinch crust edges together and slice a hole or two in the top. You can also spread a little melted butter over the top and sprinkle with sugar, if desired. 16. Bake at 350 degrees for about 40 minutes or until crust is golden brown.